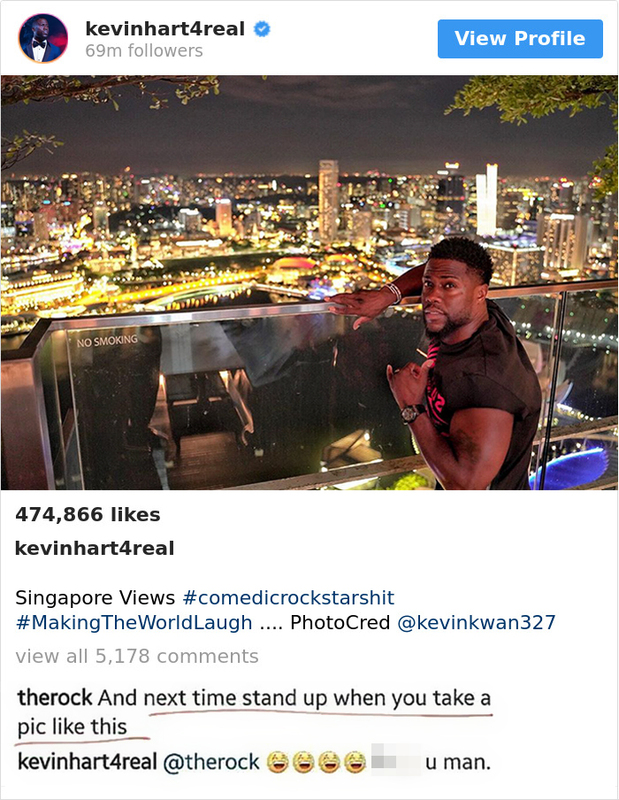 If you are active on social media and regularly follow the trendy topics, you have probably already heard that Kevin Hart and The Rock have a strong friendship, but there is more to it than just the relationship. Because of their cool personalities and great sense of humor, these two celebrities are able to always mock and troll each other in ways that need to be seen, because just telling about it will not do! This is why the list below exists! It shows some of the best episodes of their mutual online trolling and we believe that everyone would have a lot of fun seeing! 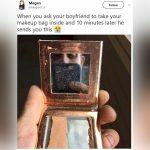 There are many other similar stories of different types of relationships between celebrities who love making jokes of one another on social media, but this duo is probably our favorite! Next in line is the sweet love Blake Lively and Ryan Reynolds have for each other, and they show it in a similar way to these two buddies. Of course, people would always notice their huge size difference even if they don’t actually know who the two actors really are. 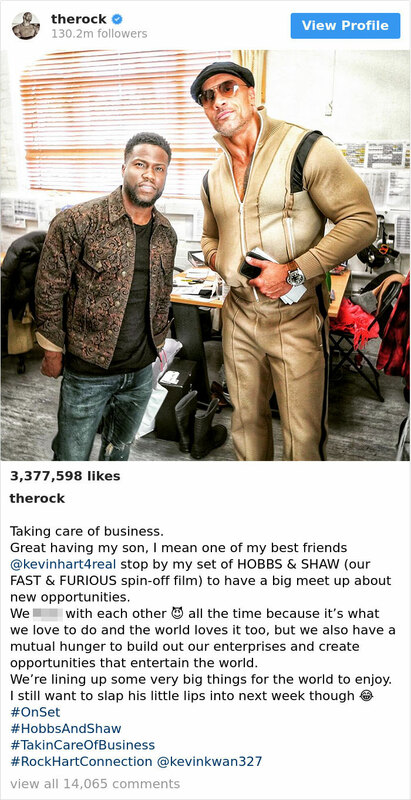 While The Rock is an absolute giant, Kevin Hart is shorter than most people, which actually turned out to contribute to his appearance and his cool attitude. Well, many internet user just couldn’t help it and they created numerous jokes and funny images dedicated to this size difference, and this is definitely one of the funniest ones! 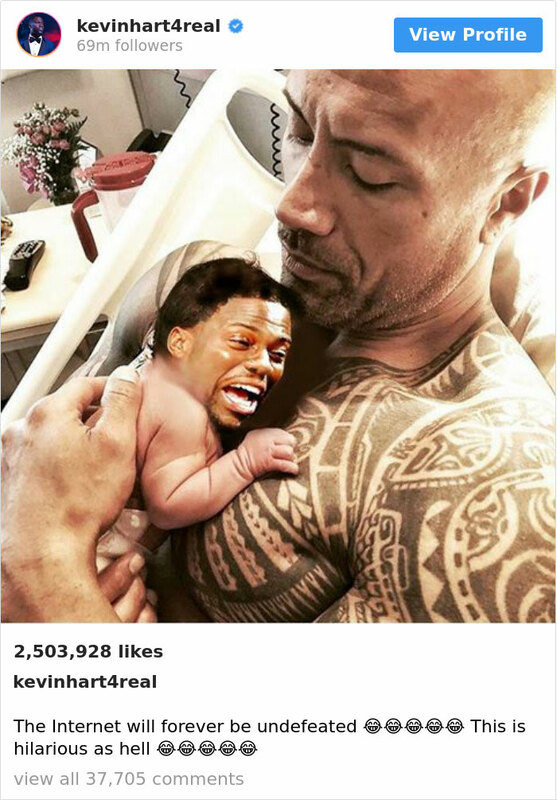 Someone used a picture of The Rock holding his daughter after she was born and replaced her face with Hart’s. The result is more than funny! We guess that Hart really wanted to set things straight after the baby picture and was happy to use this one. It appears that the tables have turned and someone replaced Johnson’s head with the baby’s. The image is even funnier because of The Rock’s grey hair! And the way Hart captioned it is more than hilarious, after all, he is a comedian and he managed to literally destroy his buddy in every possible way. If there was a competition between them using images of face-swapped babies, Kevin Hart is definitely the winner! 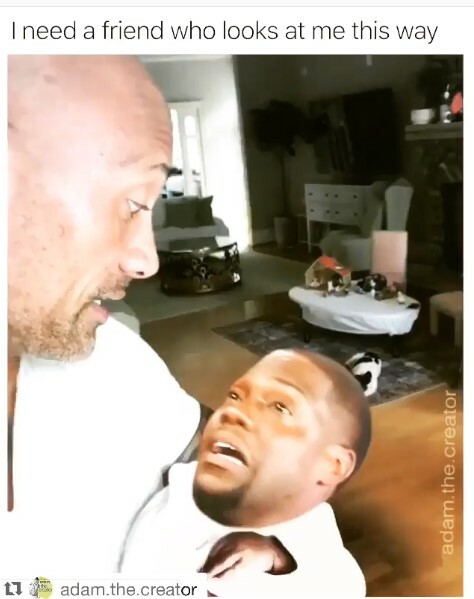 It appears that the baby face-swap feud did not end with the previous image, because The Rock does not give up that easy and it would take a whole lot more effort to defeat him! He used another face-swapped image to troll Hart and this time he wanted to make people vote by sending a message! It was the best way for him to fulfill his duty of encouraging people to get up and vote and to combine this noble cause with roasting his friend! We guess that when it comes to action figures made to represent a real person, they cannot get any cooler than these! As you can clearly see, the manufacturer that produced them really made a nice effort and there a lot of cool details featured, like The Rock’s tat! 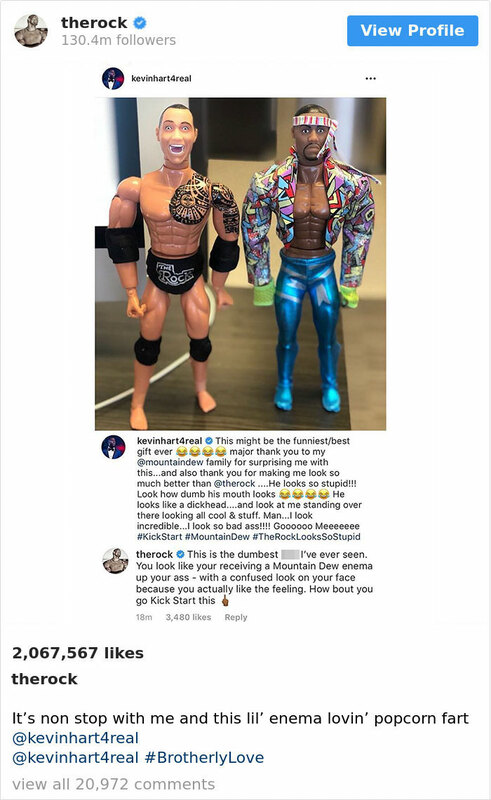 However, Hart believed that Mountain Dew were able to make his action figure better and a lot prettier than Johnson’s, but his attempt to shine was shut down by The Rock himself, who commented on the social media post featuring the image and literally destroyed Hart in the funniest possible way. People all over social media always pick up the jokes between the two actors. We guess that one of the best ones is the made-up rumor claiming that Hart was The Rock’s son! Just the idea of this being true really makes us laugh, because we know that it is not true, but when you look at them standing next to each other, you begin to find this plausible! People who have never seen them before might actually fall for that, but we guess that everyone knows who they are and what their connections is. 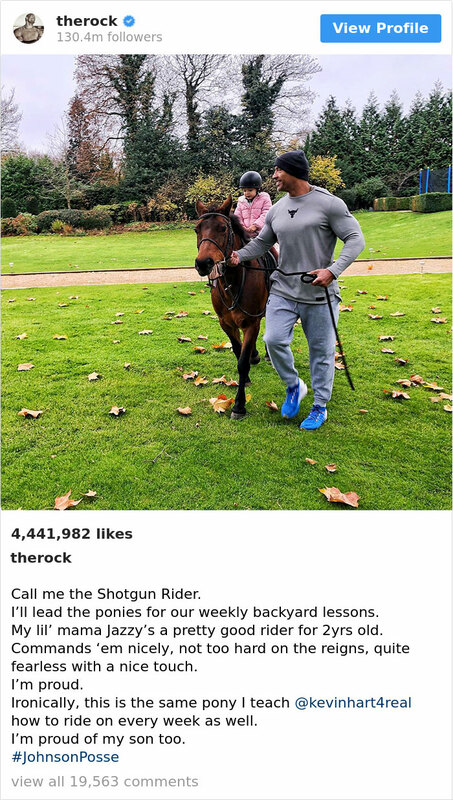 This post features an image of The Rock having some great time with his toddler and a pony. 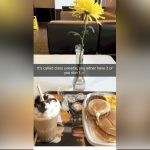 He captioned the image by saying that he was actually good as a trainer and he was pleased that his daughter did a really great job. What he added made the post hilarious! He used the ‘father and son’ joke and added that he used the same pony to teach his son Kevin, too. Just imagine if that was a real thing! Hart would look ridiculous on that pony for sure and The Rock definitely knew that, which is why he joked about it. We guess that this kind of jokes involving the two actors will never get old. Someone actually made a short video which looks really good! It used something like CGI and turned the baby in Johnson’s arms into Hart! The Rock obviously loved how the video turned out to be and posted it on his Instagram account. Hart probably cringed when he saw it but we are sure that he laughed a lot, because he is a really fun guy and knows how to make jokes even of himself. People online love seeing and reading all the content related to their funny feud. It appears that fans appreciate their talent even when it comes to making jokes. You need to have a good sense of humor in order for a joke to work and actually be funny. This social media user actually gave a really neat idea. Imagine if the special bond between Hart and Johnson is developed into a movie! This would be a total hit because it would be full of the funniest rivalry imaginable. We definitely think that producers should think about it and we are also convinced that the two actors would be delighted to star in it! As you can see, some people follow the funny feud from up close and they get inspired by it! This person came up with a really funny one! It was supposed to be a false quote and it is definitely the kind of thing both actors would share on social media! 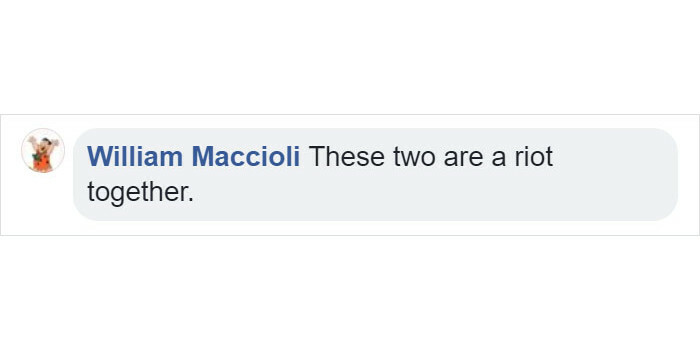 There are apparently people who have no sense of humor and they consider that the posts Hart and Johnson share are actual attacks and bullying. This is why this person decided to explain that their close bond is actually based on such jokes. Like true siblings, they seem to be fighting but they could not be closer to each other! This user suggested the best way we can describe the feelings these two actors have for each other. The term ‘bromance’ is a made-up word but we guess that it is the perfect way to describe the relationship between the two actors. They are basically like brothers and the way they always treat each other shows that! This person mentioned the one thing that is probably what matters here. The two actors are really funny and they have the ability to troll each other in style, but all their posts and the jokes show that they really love each other. Spreading the love is always the best message! 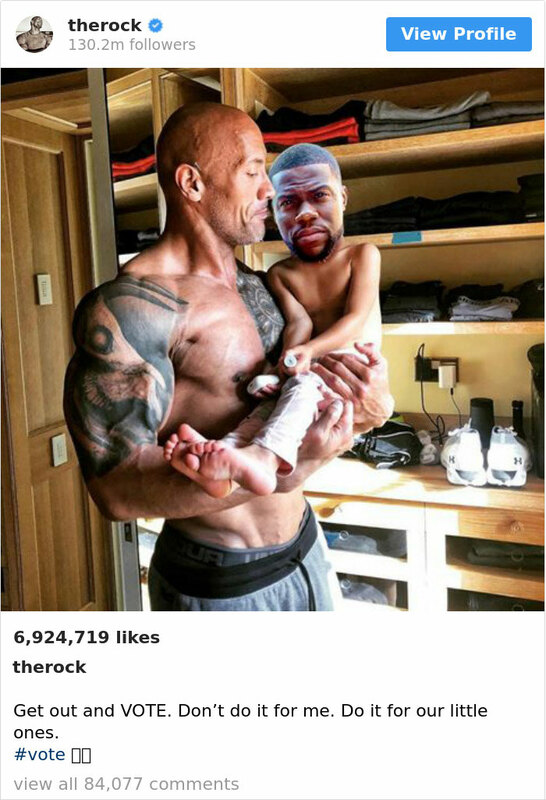 When Hart posted this beautiful image on his social media account, he probably knew that The Rock would inevitably comment below it and joke about it. He was right, because Johnson will always find a way to troll his buddy. In this case, he used the fact that Hart is short, and made a funny suggestion that next time he should stand up. Of course, The Rock was perfectly aware that Hart was actually standing u when the photo was taken.